Did you know there's a simple formula for getting quantifiable results from your online marketing efforts? The formula is TRAFFIC + CONVERSION = PROFIT. You must have traffic (visitors) coming to your web site in order to convert (sell) a percentage of them into booking an appointment with you. 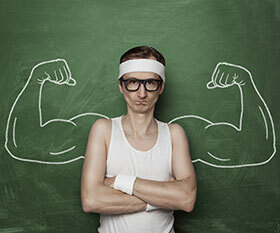 This is how you get a return on your advertising investment and build your practice. 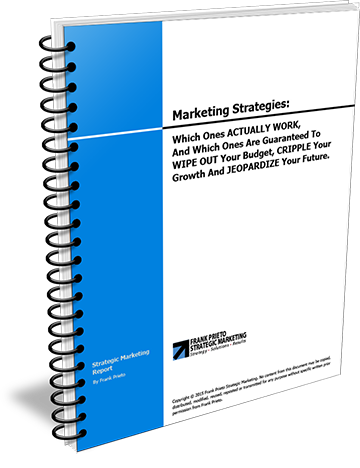 You want to get a clear understanding of what a marketing strategy is and why it’s so important to your business. Strategy-- which is in essence your marketing MESSAGE— plays an important role in your acupuncture website CONVERSION. You see, you could buy all the traffic you want, but if you cannot convert the traffic from prospective patients (prospects) to paying patients (clients,) you won’t get a return on your advertising investment. In fact, it’ll cost you money. This happens quite often and is the reason why many practitioners and small business owners reach the erroneous conclusion that advertising doesn’t work. However, if you have a strategy in place before investing in advertising, you’ll be way ahead of the pack and on your way to PROFIT. That’s how you beat your competition and eat their lunch. Oops, sorry. It’s my competitive nature that creeps out sometimes. I forget I’m talking to warm and fuzzy, touchy-feely acupuncturists. OK, we know there are three important factors we must have in place (and in sync) if our acupuncture marketing efforts are to pay off. Those are, the right MEDIUM, the right MARKET and the right MESSAGE. Once you’ve built your marketing stool properly you’re ready to turn on the traffic and start testing your model. If you think about it, Internet traffic is no different than store front traffic at a retail store in the local mall. For example, let’s say 5,000 people pass by a store front on a daily basis. On the Internet this would be called impressions. 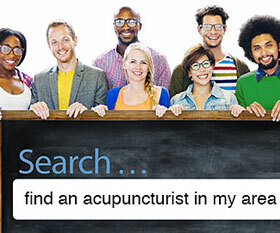 The number of impressions is the number of times your ad or listing is put in front of a prospective patient searching for an acupuncturist in your area. Going back to the store example, if of the 5,000 passing shoppers 2% walk in the store, this means 100 people showed some interest in what the store had to offer. These 100 people are actual prospects (or leads.) On the Internet this would be a 2% CTR (click through rate) because your ad or listing was presented to 5,000 searchers and 100 of them “clicked through” to your web site hence the 2% CTR. The difference between your web site and the retail store is that the 100 people who clicked through to your web site are not prospects quite yet, they’re just visitors. If they enter their contact information to download your free report or e-book, or if they download your coupon for a free consultation or pick up the phone and call you, then they “convert” to prospects. Any of these three actions by visitors can be classified as a conversion. A conversion is any action you want your web site visitors to take. 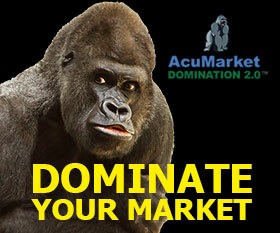 You too can learn how to build an acupuncture marketing system that runs on auto-pilot. I teach this to the members of my insider's club. Going back to the retail store example, if of the 100 people who walked in the retail store 10 make a purchase, the merchant’s conversion ratio is 10%. Is this good? Well, I don’t know. It depends on many factors. If the store sells high ticket items I would say that’s good. On the other hand if their average sale is small, I would say that’s not good because they’re probably not recovering enough revenue to cover their cost of doing business at the mall. Now stick with me here for a minute because I’m going to show you how a small increase in conversion can dramatically impact your bottom line. So what's the take away? 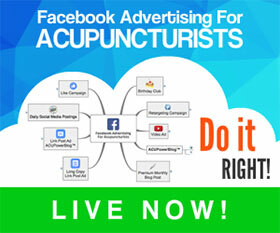 Don't spend a single dime on advertising until you have an acupuncture marketing strategy in place. Oops, I accidentally deleted some text in the previous comment. Thanks Frank for pointing me in the right direction regarding marketing my acupuncture practice. You are getting me to change some beliefs that I’ve held onto – that I shouldn’t be treating it as a business although it is. Hence, I am starting to rethink my approach on what to have posted on my web site. Not only do you have to treat it like a business, but you have to promote it like a business if you want to grow it. In reality, marketing is nothing more than lead generation. The trick is to set up a marketing system (lead generation system) that runs on auto pilot so you never have to worry about marketing again. 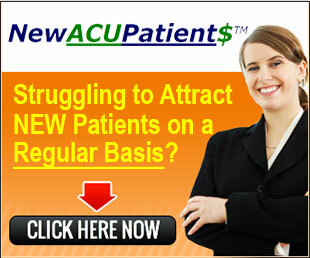 What’s the best lead generation system for acupuncturists? Their website. How do you get your website to generate leads? 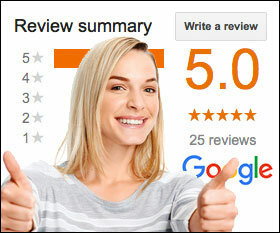 You do search engine optimization and/or PPC advertising. Why? Because if potential patients can’t find your website is like you don’t exist in your area. When you search online for a plumber, a dog groomer or a pizza joint, you call the guys on the first page of Google. Anything beyond the first page is worthless. It’s no different for an acupuncture practice.